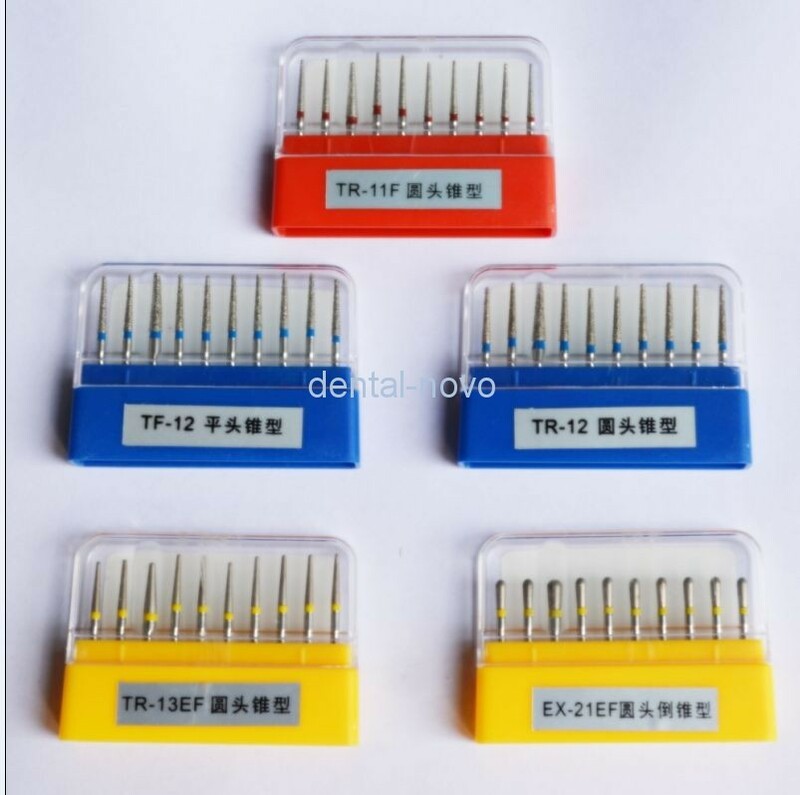 Our diamond burs is very light, easy to use with handpiece, never broken for Bearing of handpiece. 1. Our diamond burs is very light, easy to use with handpiece, never broken for Bearing of handpiece. 2. It is Magnetic burs, as the raw material of the Mandrels is 004F metal steel, same as the raw material use in Diaswiss diamond from Switzerland. It is easy to find with a magnet once you fall down it. 3. One burs can sue for 6-8 teeth polishing. 4. Design of our package is very convenience, you can push one by one when you sue the burs to avoid all of them drop from the box.